Workout Factory is a premier boutique fitness and spin studio in Long Island City, located in the warehouse at LIC Food and Flea. We have recently reopened in our amazing new location. Come unplug and spin on our awesome Stages power bikes with Stages Flight (a first in NYC! ), or get lean and fit in a TRX, Bootcamp or WaterRower class. With 4,000sf of space, you have access to the best instructors and equipment in the industry to ensure an incredible workout filled with sweat, empowerment, and energy. At Workout Factory everything becomes possible. 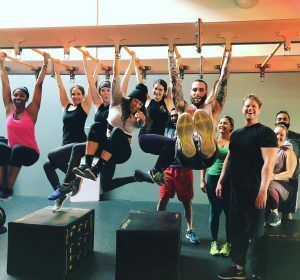 We will help you to push through the “I’can’t’s,” I’ll start tomorrow’s,” and “If only’s.” We provide top of the line equipment and amazing trainers, you provide the drive and commitment, and you will become the best version of yourself. Welcome to the Workout Factory Family!